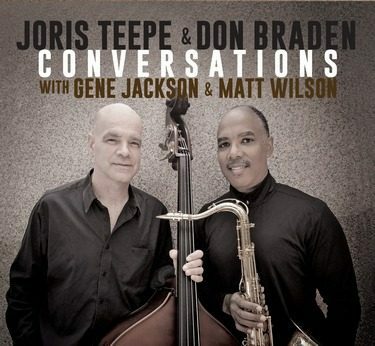 Veteran saxophone/bass duo, Don Braden and Joris Teepe proudly announce the May 30th release of their highly anticipated album Conversations. A follow-up to their co-led album Pay As You Earn, this new project continues the almost quarter-century of collaborations between these two titans of jazz. With the help of esteemed drummers Gene Jackson and Matt Wilson, Braden and Teepe deliver creative, grooving performances of jazz classics and originals, which incorporate uniquely interactive improvisation. The duo are already set for their next collaboration, as Joris will be included on Don’s subsequent album Earth, Wind and Wonder. It is due for release in Fall 2017.